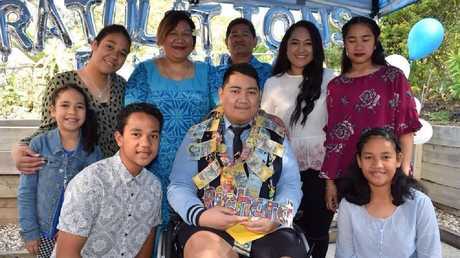 WHEN Richard Chu-Sing's cancer got worse and it was clear he would not see his Year 12 graduation - his school decided to bring his graduation to him. 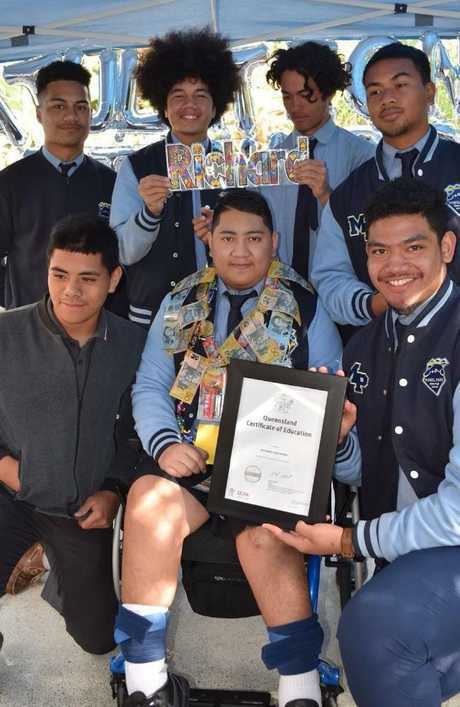 Richard, 17, graduated from Mabel Park State High School at home in front of 50 of his closest friends and family. He died three weeks later after a long battle with osteosarcoma. "It was a beautiful day," principal Michael Hornby said. 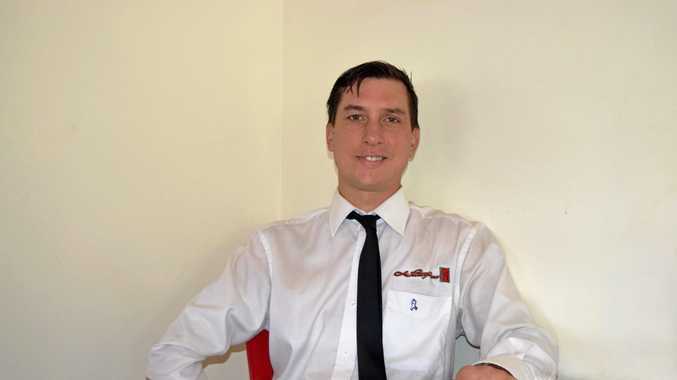 The Woodridge student, who had dreams of going into aviation, graduated with his Queensland Certificate of Education and was the first student to graduate from the Certificate III in Aviation (drone program). Richard was diagnosed in Year 10 and despite his sickness managed to get enough marks to graduate early. "You think you know what tough is then you meet Richard," Mr Hornby said. "He didn't have big muscles or tattoos, but he never once complained and was a beautiful young man, respectful to his friends and family. "I feel very blessed to have been a part of his life." Richard Chu-Sing pictured with his family on his graduation day. The graduation day was filmed by Brisbane production company Smoke Creative, that donated its time to capture the special day. The video has since been shared by the school and has been viewed more than 70,000 times. Richard's sister Fui Fui Chu-Sing said her family felt very grateful to have footage of one of Richard's last good days. Richard Chu-Sing with his school friends at his home graduation. "It's a good memory of Richard," she said. "It's the last recording we have of him smiling and happy and it means a lot to have that memory of him." She said the school had been "amazing". "They've helped him since his diagnosis until he passed away," she said. Richard leaves behind his parents, John and Legalo, and seven siblings.